New software – SCADA ZETView component for visual representation of tests performance, Signals gallery component integrated into ZETLab software, Wavelet analysis, STA/LTA detector programs integrated into ZETLab seismo software! December 6-8, 2011, Our Company has taken part in 7-th international exhibition “PTA – Ural 2011” dedicated to industrial automation and embedded systems. Now ZETLab software and drivers of ZET-devices (FFT Spectrum Analyzers, ADC DAC modules, seismic stations) are compatible with 64-bit OS Microsoft® Windows® 7. Corresponding software updates will be available in the beginning of November. Piezoelectric seismic receivers ВС 1311, ВС 1311-V, BC 1311-S, BC 1313, BC 1313-V, BC 1313-S have been included into the State register of measuring products (№47996-11). 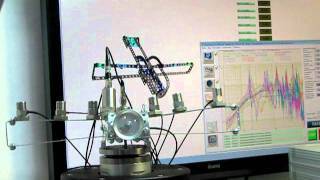 Seismic receivers are used for vibration parameters measurement: acceleration, velocity, dispacement. These devices have integrated power control and calibration system. Main application spheres: vibration measurements of low frequency and level, leak detection systems, structural health monitoring systems, etc. Carrier rocket Soyuz-2-1v: test launch in Samara. Tests of Soyuz-2-1v carrier rocket in Samara. The carrier rocket has an engine, which has been designed by Nikolay Kuznetsov for a flight to the Moon. New engine is going to be used for a light missile. Modern spacecrafts become increasingly compact and technological, hence it is not economically efficient to use heavy carrier missiles. That is why we need light carrier missile “Soyuz”. First test launch and flight tests are scheduled for the next year. Carrier missile testing has been performed by means of FFT Spectrum Analyzer ZET 017-U8 and ZETLab software (in particular, with “Vibration meter”, “Modal analysis” and “Multichannel oscillograph” programs). September 7-9, 2011. Our Company has taken part in 18-th International specialized exhibition “Oil, Gas. Petrochemistry.”, which was held in Kazan. At the exhibition we have represented leak detection and control system, seismic impact control systems, seismic receivers (with acceleration, velocity and displacement output), digital seismic recorders and intelligent sensors. 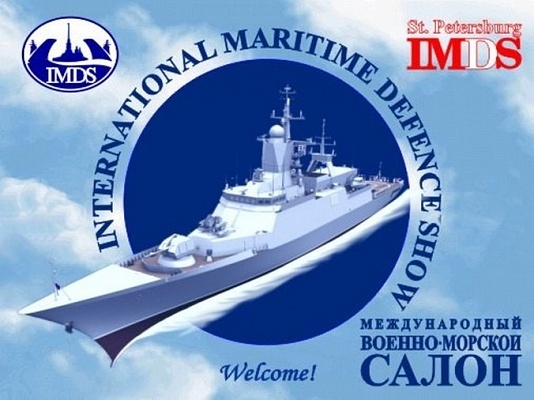 June 29 – July 3, 2011 – our Company participated in International Maritime Defence Show (IMDS-2011) in St. Petersburg. We have started manufacturing products of ZETSensor series. ZETSensor — is a line of intelligent sensors, which are compact and easy to use. Products of this line have been developed to be integrated into packages of various sensors. New features of SCADA-system ZETView – visual representation of tests performance! 24-17 May, 2011 – our Company will participate in 19-th International Specialized Exhibition “Oil. Gas. Technologies – 2011”. Exhibition address: Ufa, the Palace of Sports, ul. Zorge, 41. In order to visit the Exhibition, you should have an invitation. We shall be glad to see you at our Booth #106. April 20-22, 2011, our Company is going to take part in the 3-d specialized exhibition of control, measurement and test instruments “Expo Control 2011”. This special exhibition is dedicated to main stages of any industrial manufacturing process: measurements, control and testing. Exhibition address: Expocentr at Krasnaya Presnya, Showroom 5, Hall 1. Our Booth# B014/2. We shall be glad to meet you as our visitors! New product for April Fool’s Day! As a result of long-term research and considerable effort of our employees, we have developed a brand new product! This device is called a seismograph for domestic application. It is used to detect ongoing scandals and to produce a warning message. This device can be connected to 220 V network with a cable. The seismograph for domestic application is mounted on the floor, thus detecting the sound of breaking plates and dishes. As an additional option, we also can provide you with a cable for connection to the speakers – in this case upon seismigraph activation you will hear relaxing music for prompt conflict settlement. Note! It is not recommended to install the seismometer for domestic application in the dining room, so that to avoid false alarm notification during a party, or in a bedroom to exclude distracting sounds of alarm signal. Development of a new product! New development: ZETKey allows to work with ZETLab programs without connecting ADC / DAC modules or a FFT Spectrum Analyzer. 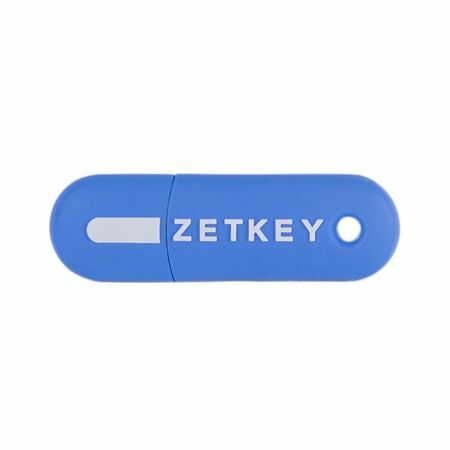 ZETKey – is a USB-key for access to virtual instruments. Discount for ADC DAC module ZET 210 – 20%.